Electric Animal: Can you hurry up and bring out the iWatch please? 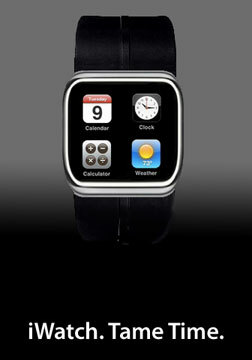 Apple needs to bring out the iWatch. It's clearly time. A recent visualisation from Cult of Mac. 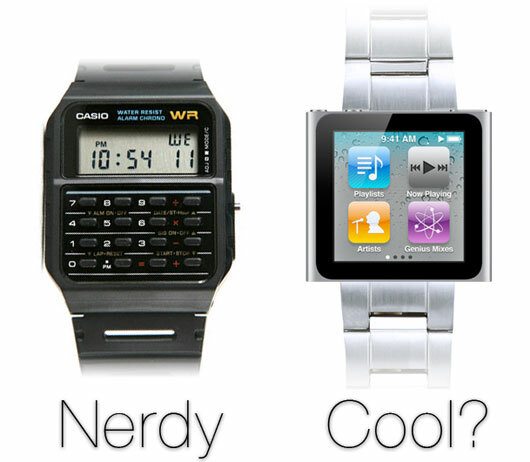 I posted a question on Quora to see if other people agree that wristwatches would benefit from an iPhone-like makeover. It's a bit random whether your question gets picked up on Quora, but there was a surprisingly resounding silence. And a few comments saying "no that would be a silly idea". You wouldn't want to do much with your iWatch. You certainly wouldn't want to input data on it. But it would be great for quick notifications: 'Your next appointment is...'; 'Here's the first few lines of a new message from…'. It could even tell the time and date. 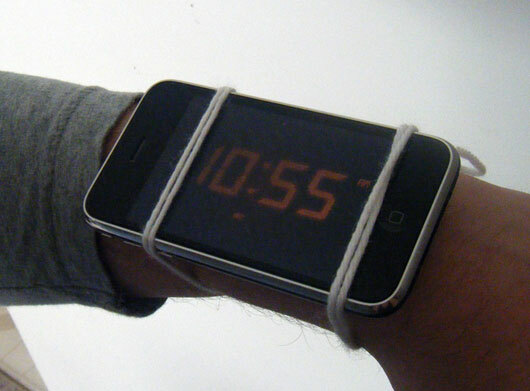 A watch is harder to mislay than a phone or anything else since it is literally strapped to your arm. You carry it everywhere, and it's pretty unobtrusive too. Since it goes where you go, it would be a great device to be able to provide location awareness to your network of devices. Once someone's invented an acceptable way of doing so, you could ping your location to your friend, or keep track of your child's location. Of course, it would also be perfect for mapping your run and that kind of thing. Better than a password or a keycode, using your watch to quickly swipe through any security barriers would be great. Your phone or your computer would never need unlocking when you're wearing your watch. And you'd know they could be securely locked when you're not present. No more website passwords when you can swipe through them on your watch. Since your shiny new watch lives in a connected world, it could help manage your other devices too. Of course all devices would be synced by then, so everything is available everywhere. But your watch could also show where another device is, as well as what it's doing. "Your phone is 25 metres away, in that direction." But it's not here yet. 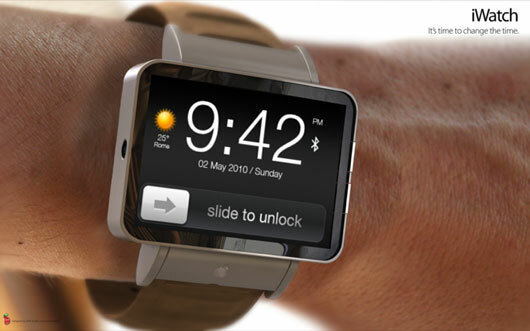 In the meantime, here's some pictures of some of the visualisations of the iWatch that are floating about on the net. An actual iPod Nano wristwatch there. Is it wrong for something to be both? Really bad copywriting. Mmm, it's tame time. Yay! This visualisation has been around for a while. Looks uncomfortable. As Arclin shows, there's a Sony connected watch. There's this too: http://getpebble.com/ which did very well on Kickstarter. Personally, I'm not convinced there'll be a good one until Apple launch theirs. You've clocked (sorry) i'm, right?